It has been two weeks of epic rugby action since I last posted up something on my blog. 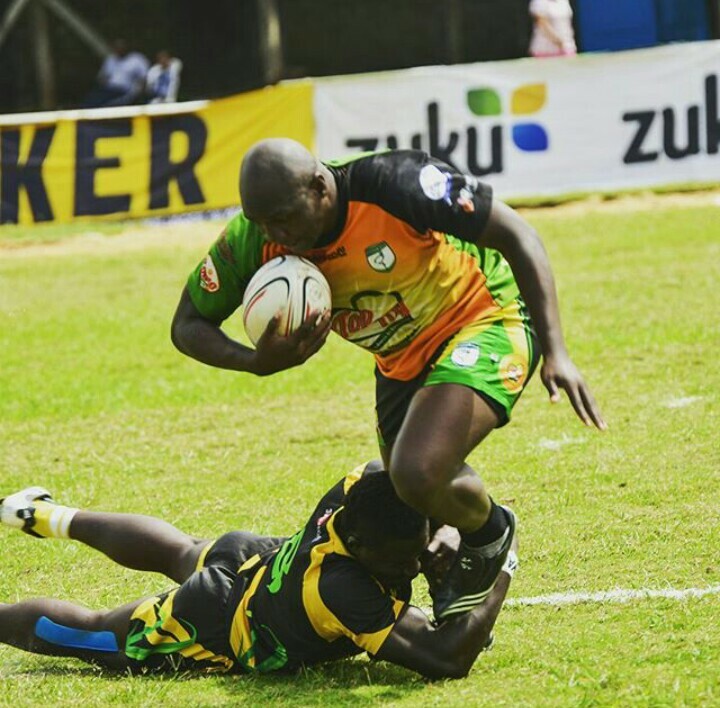 Our Shujaaz were off on a successful raid at Singapore, the Kenya Cup pre play offs were a hot sauce… Then the retur of the Shujaaz, My oh my! I missed out pouring my heart on these streets. It’s a grueling time where I am and I would plead to be excused for missing out on the weekly dose of the rugby review and preview. 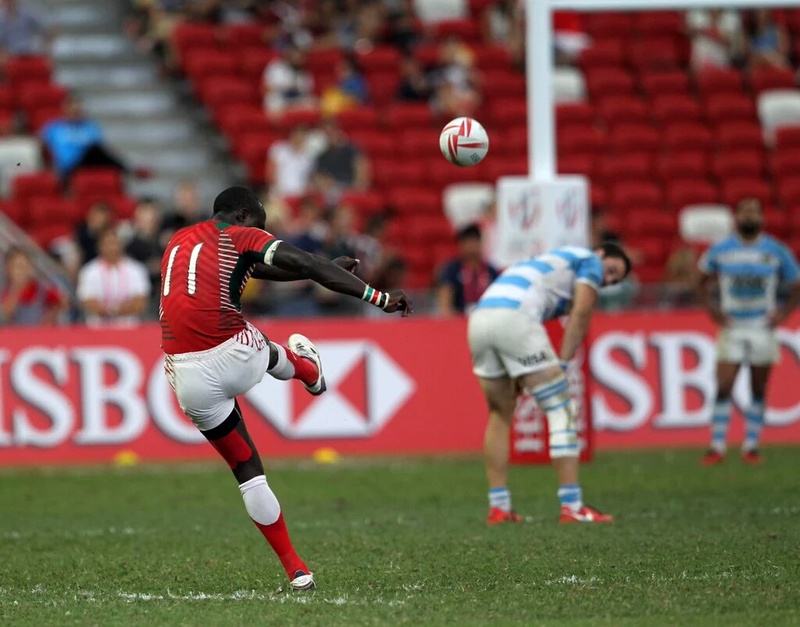 Back at the weekends that were, it will be obsolete to go on without a mention the Kenya Sevens thrilling scoop of the MAIN CUP at Singapore- yeah, it’s been everywhere but here, definitely not cliché . Words fail me, on where to start with the praise to the amazing master class showdown we have long waited to see as rugby fanatics but it is with much prudence that I would love to sum all my praise to Benjamin Ayimba led fraternity with the simplest and purest ‘THANK YOU & CONGRATULATION ON THE OKOMBE’ ever typed… Straight from my left ventricle *wipes tear*. Week 19 of the Kenya Cup had me host ‘Kenna’ Wambui to throw her sentiments on the Kenya Cup and also take of the Hong Kong 7s experience. I’m tempted to think a Shujaa read her sentiments and executed to her hopes and every Kenyan’s expectation. The team is back to camp for the Paris 7s and London 7s, it wont be easy to reciprocate the same stealth skill & shear dominance of play, most teams will be looking to avenge Singapore but Shujaaz can only do better and prove critics wrong, they (HSBC) asks you to ‘Bring the Heat’, take to them the fire too! It was relishing for Menengai Cream Homeboyz, Top Fry Nakuru, Kabras Sugar and immediate defending Kenya Cup champs KCB as they affirmed their quarterfinals play offs berths in the last band of preliminaries games in round 19. The Deejays sort all the tools they had to edge the then standing leaders 27-25, resulting to a slump of the latter in the standings. The drop was somewhat good news to Resolution Impala Saracens who struck Strathmore Leos 33-27 to cross ‘that bridge’ at top of the table. Top Fry Nakuru cast more woes at visiting KCB book a ticket in the play offs with a convincing 21-13 win. 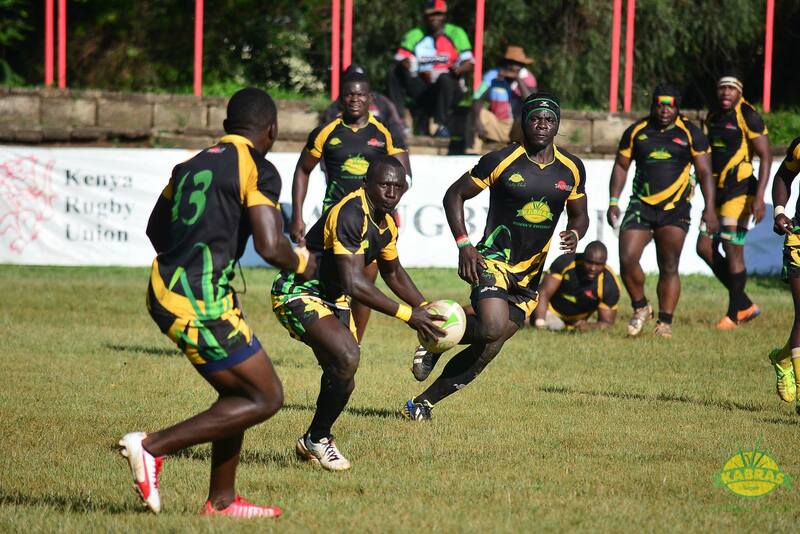 Kabras Sugar, who were already in the play offs lane thumped Thika RFC 82-8 at Kakamega Showgrounds. I wish that lucky fate had befallen my Kulabu who needed a significant win over Nondescripts to proceed, it was the end of the road for the ‘rain gods’ as they drew with Nondies 12-12 a result I had least expected after the ‘Blakblad turmoil’ that faced the latter. At the play offs non-contenders end, Blakblad extended their resurgent form seeing off Western Bulls 5-7 and Mean Machine attaing a 24-0 win over B’Sharks. Week 20 of the Kenya Cup had the real title contenders separated from the rest of the chaff. Kabras Sugar hosted Top Fry Nakuru at the Kakamega Showgrounds for a rerun of the Rai Cup, only this time with a twist; sweet victory for the host team and are now a game away from making it to the Kenya Cup final showdown, back to back since their debut. It shall be remembered that Kabras are now the dreaded sledge hammer that cuts off Nakuru from Kenya Cup honors. This is after they edged them, 15-12, out of cup contention in 2014/2015 season & have proved to be the thorn in Nakuru’s rose. Fabian Olando is to thank for the sugar men’s close win, 16-15, for having an accurate boot, 3 penalties and a conversion to a try were enough to grab the lead to 80 minutes albeit a major comeback scare by the Wanyore in the second half. Over at Jamhuri Park, it was again a kicker that oiled KCB’s engine to the semi finals berth. Darwin Mukidza, this guy, I read so many stories of him & the Simba XVs squad last year, he yet proved worthy with Six successful penalty attempts at goal, top that with a converted try and you will get a 25-8 win over Homeboyz. Assume a matatu tout bellowing ‘Mwisho wa gari oyah!’-at this juncture of the Kenya cu- while you are about a quarter a kilometer away from your usual stage. The faint hearted will simply agree albeit with hissing curses and get off the matatu, they will give a fight behind breathe and walk away probably to appear decent or to avoid confrontation if things got out of hand. The bolder passengers will be gutted and wouldn’t want to alight the van, down to the wire, a confrontation might arise but he has to be dropped off at his/her stage-value for money paid, they would say. Week 20 is that sort of a matatu, only the grittier, tougher, stealthier and hungrier of the teams will be triumphant. It is a game away from popping the Champagne for the four teams in the play offs as whichever two teams wins this weekend secure a date at the finals. The two have clashed twice this season back in Round 2 (review) and a re-run in Round 6 (review). So far is a 1-1 record on the Head to head score card. Quins pulled a nickel and a dime in this match to beat then a hot wrecking Kabras side, but that was just the second game of the season, a last minute try by one Lyle Asiligwa scuffed my prediction. And there was also matters to do with the city atmosphere I remember... hehe. Jump to round 6 when Kabras were hosts to Quins they caned the latter 47-17; a real thumping by a side that had in the previous weekend been walloped by KCB. Now there is an even score card set, but I would dare go further and check the status of the past two/three games. 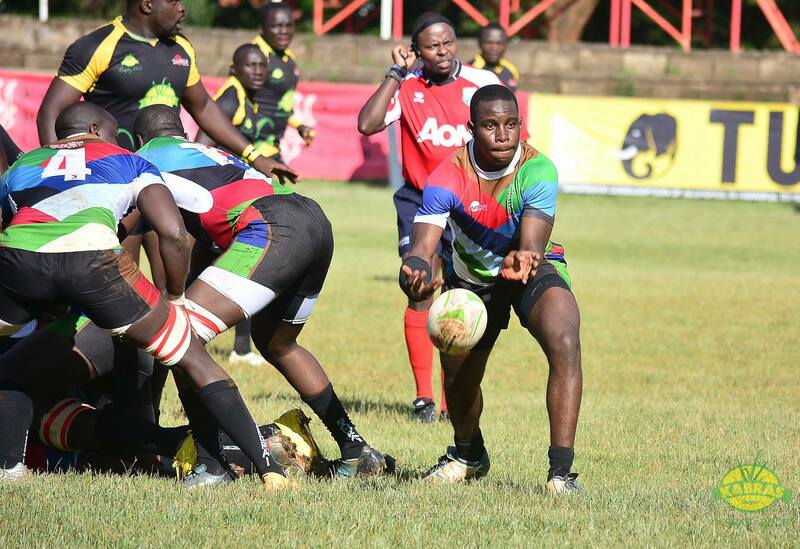 Again it’s a draw; Kabras played against one ‘strong’ team (Nakuru) and two ‘others’ (Blakblad, Nondescripts) and picked significant wins & so did Kenya Harlequins against Nakuru and B’Sharks, W’Bulls. Up to that juncture its 2-2. I am yet to attend any games by the two to give a detailed breakdown on the differential factor in the teams, but I can bet you that it all settles at the individual key players on each team. Will Asiligwa stand up for his team again or will the Fijian-Kenyan combo reign supreme at close of business. this season and they aced wins over Nakuru, a team that nearly pulled a win over Kabras. The Impala or the Lion? 20-14 win- doesn’t quite add up for a head to head since it was a one way clash, but still 1-0. 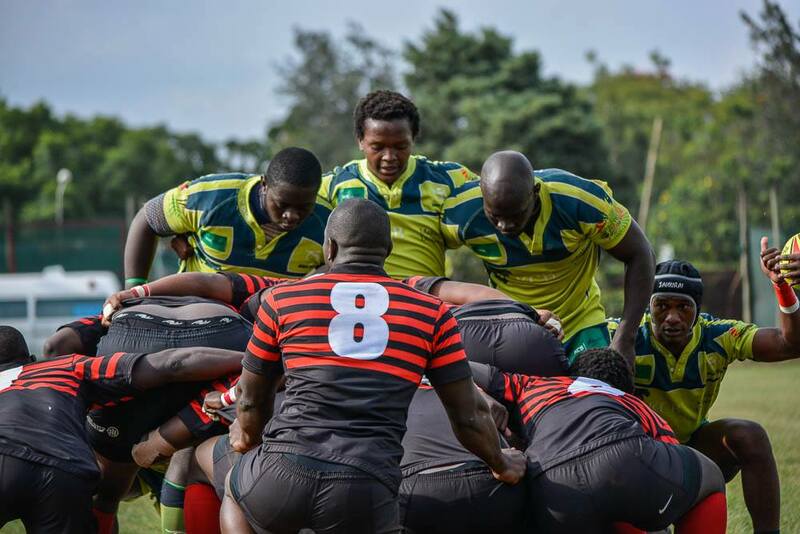 Impala had games against Nondescripts in Round 18, Kabras in round 17, and Blakblad in round 16 of the Kenya cup at preliminary level. Looking at that record, I single out only one strong team they played against Kabras Sugar, and lost 25-13 at Kakamega. 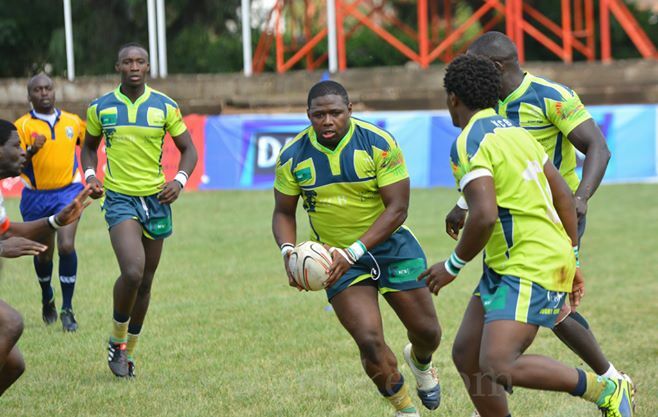 KCB worked their way up, thanks to one Darwin Mukidza last weekend. Prior to that, they edged Thika in round 18, had a sore loss at Mwamba’s camp in round 17 & a comeback win in round 16 against Homeboyz. 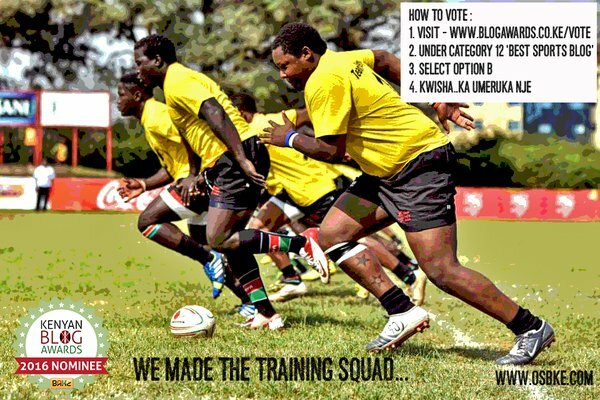 That adds up to 2 wins over the same team (HBR) and a loss to Mwamba …Thika is a none-issue. Much more precise directions on how to vote.